Paper Dress 80’s Club! Fri 12 Oct! 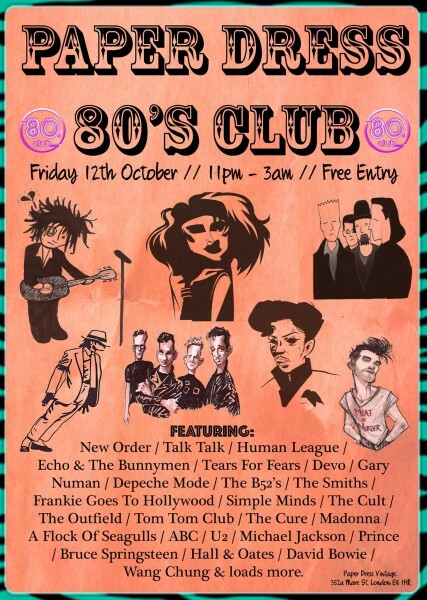 We’ve been wanting to put on an 80’s themed night for awhile and it’s finally happening on Friday 12 October! It’s also FREE ENTRY all night long..
80’s fashion is highly encouraged! Before the club night there’s some great live music with an 80’s soul running through it..